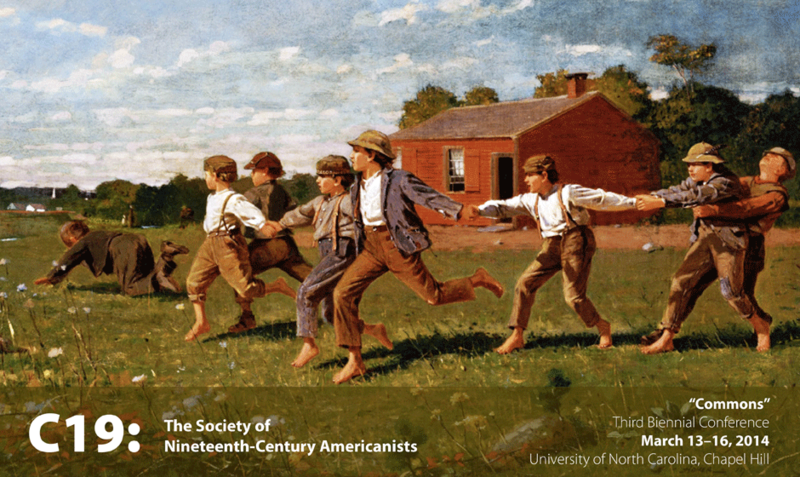 Public Domains: Print and the Commons in the 19th Century U.S.
C19: The Society of Nineteenth-Century Americanists is the first academic organization dedicated to nineteenth- century American literary studies. We are delighted to announce that our third biennial conference will take place in Chapel Hill, North Carolina, on March 13-16, 2014. The conference will be hosted by the University of North Carolina, Chapel Hill and UNC’s Department of English and Comparative Literature. Image: Winslow Homer, Snap the Whip, 1872. Courtesy of the Metropolitan Museum of Art.